Experience more thoughtful financial planning. 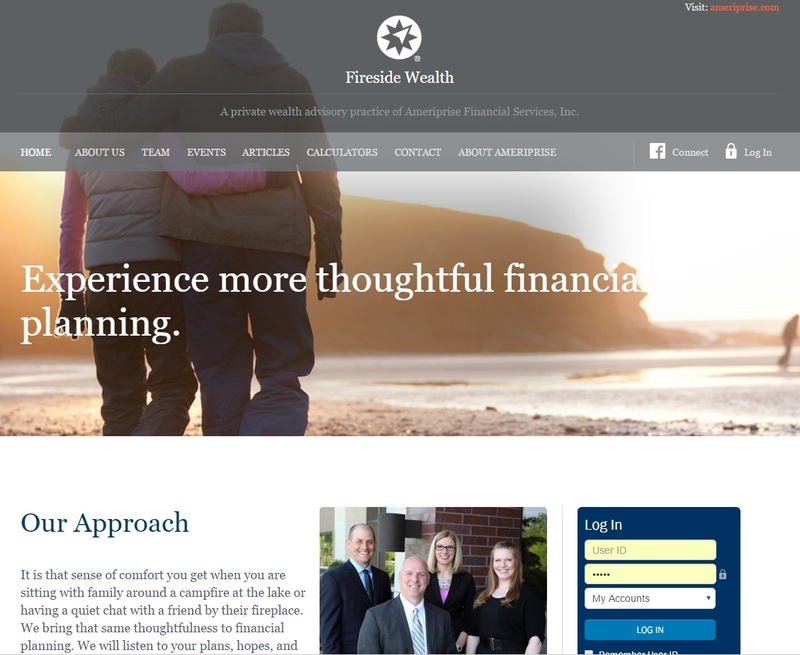 Ask clients about their experience working with this Ameriprise advisory firm, and many will say they feel “truly cared for.” These advisors strongly support their clients while providing expert knowledge and an optimistic perspective that helps them feel better about their finances. It’s that sense of comfort you get when you’re sitting with family around a campfire at the lake or having a quiet chat with a friend by their fireplace. We bring that same thoughtfulness to financial planning. We’ll listen to your plans, hopes, and dreams — and also your worries about your financial future. We’ll show you why you can be optimistic about tomorrow, and how you can feel better about your finances today. Perhaps no phrase in advertising rings more hollow than, “We care about you.” So to credibly communicate this promise, Pollywog created a name rich with connections to warm, welcoming experiences. A fireside provides a cozy atmosphere for meaningful conversations. The firm’s older clientele may also associate the name with President Franklin D. Roosevelt’s “Fireside Chats,” radio talks in which he discussed his optimistic vision for the future.